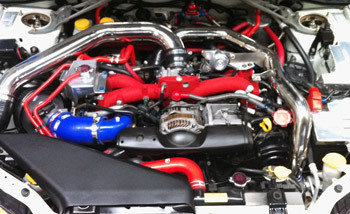 Here at Autotecnica Subaru we have many, many years experience of building, tuning and racing Subaru´s. Our own show car is currently running 500bhp and 530 lbs/ft or torque and while raced at weekends it still remains a useable everyday commuter vehicle. Over the years we have remapped many Imprezas, Foresters and Legacys as well as many performance Fords from Sierra Cosworths through to RS turbo Fiestas and Focus STs and also Turbo Diesel vehicles.